This page is dedicated to the lucky and talented (?) 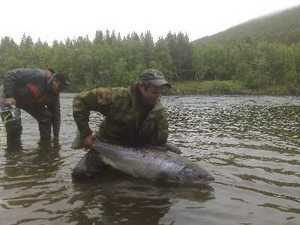 anglers who have got big fish in the River Reisa. 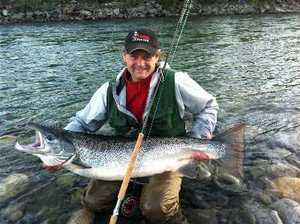 We welcome all pictures that keep a certain quality, and encourage everyone to send us the photo of great catches. 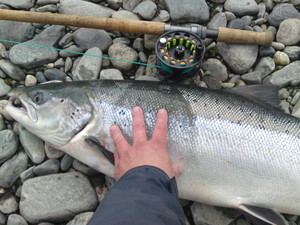 The picture and information about the catch can be submitted to jan(a) creonor.no. 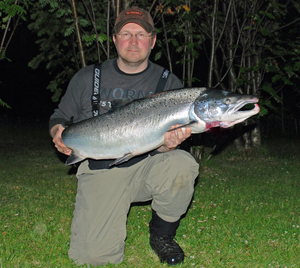 Hans Tore Larsen, male salmon 22,7 kg/50 pounds, Zone 8, 2008. Personal best ! 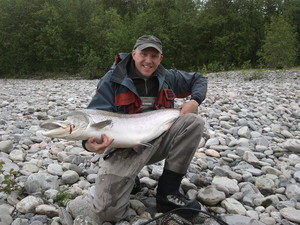 Jens Olav Flekke, female salmon 17 kg/37 pounds, flyfishing zone 5, 2009. Released. 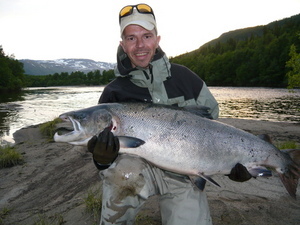 Arild Reiersen, male salmon 21 kg/46 pounds, flyfishing zone 3, 2010. Released. Personal best ! 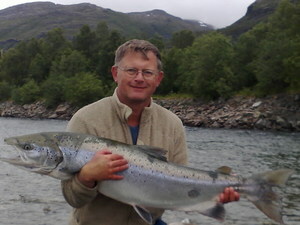 Robert Bjørklund, female salmon 17,8 kg/39 pounds, flyfishing zone 9, 2010. Released. Personal best ! 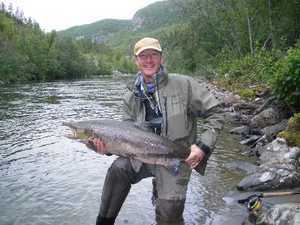 Jens Olav Flekke, male salmon 23,1 kg/51 pounds, flyfishing zone 7, 2011. 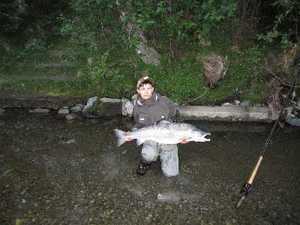 Justus Wehmer, male salmon 12 kg, flyfishing zone 13, 2011. 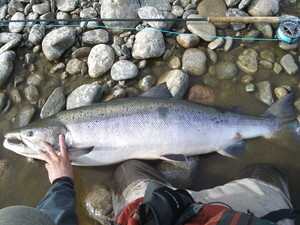 Released. 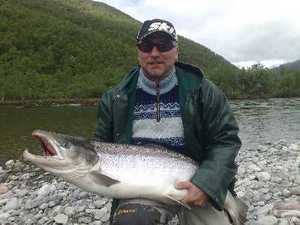 Ola Dyrstad, male salmon 18,7 kg, flyfishing zone 4, 2011. 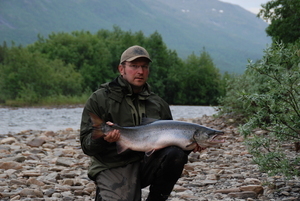 Truls Bergmo, male salmon 15 kg, flyfishing zone 5. 2011. 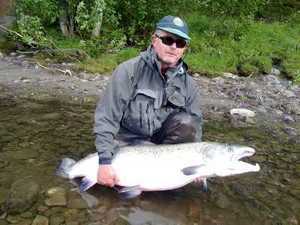 Jan A. Johansen, male salmon 15 kg, flyfishing zone 7. 2011.